Organization brings Gulf of Maine fishermen, scientists, volunteers together to sustain the lobster fishery. 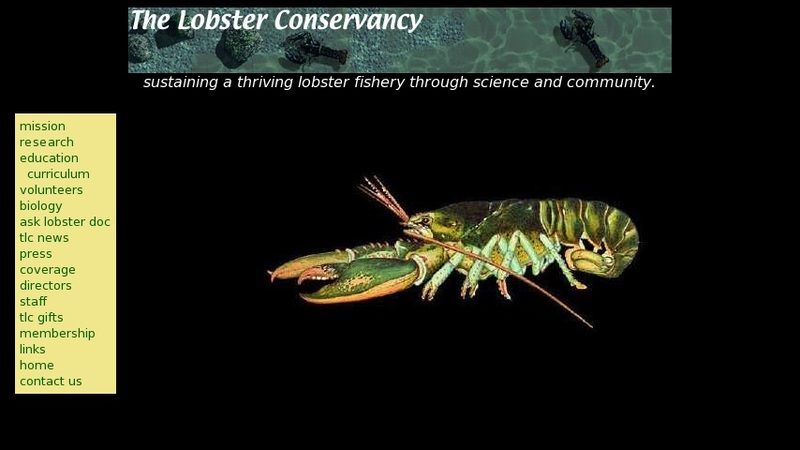 Lobster Life Studies Center and programs educate the public about the biology and importance of American lobster (Homaris americanus), conduct research, monitoring populations, recruitment and survival. Detailed profile with diagrams covers lobster classification, anatomy, growth, physiology, life cycle, distribution, behavior, and fisheries. Table lists life history stage, environmental threats, regulations providing protection. Question/answer feature posts scientists' responses to questions.